With people being compelled to switch to non-cash mode after the demonetisation move, digital payments company Paytm has been witnessing over 7 million transactions worth Rs 120 crore a day, helping it crosss USD 5 billion GMV sales, four months ahead of its target. 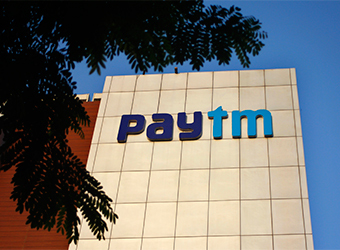 Gross Merchandise Value (GMV), which is an industry term for estimating the total worth of goods sold through a digital platform, for Paytm was USD 3 billion last year. The Alibaba-backed company, which offers both mobile payment platform and e-commerce marketplace, said it is now witnessing about 7 million daily transactions worth about Rs 120 crore. "Paytm is registering over 7 million transactions worth Rs 120 crore in a day as millions of consumers and merchants across the country try mobile payments on the Paytm payment platform for the first time," Paytm Vice President Sudhanshu Gupta said. The company is currently doing more transactions than the combined average daily usage of credit and debit cards in India, he added. Mobile wallet companies including Paytm have seen manifold growth in transactions and new users coming on board with people turning to digital platforms as serpentine queues outside ATMs continuing to hassle cash-strapped public. Paytm has been able to serve over 45 million users in last 10 days alone and over 5 million new users added since the demonetisation drive, Gupta said. "Offline transactions now contribute to over 65 per cent of the overall business from 15 per cent about six months ago. We are also working on expanding our merchant network by 150,000 additional merchants," he said. Gupta added that the company has now crossed the overall USD 5 billion GMV milestone. Over 10 lakh offline merchants across India accept Paytm for payment including taxis, autos, petrol pumps, grocery shops, restaurants, coffee shops, multiplexes, and parking. Paytm has over 150 million mobile wallet users currently. The company has also waived off its one per cent transaction fee for transferring money to the Bank for KYC-enabled merchants to facilitate this shift towards digital in merchant behavior. In the wake of demonetisation drive and a surge in the demand for digital payment options, mobile wallet MobiKwik has revised its monthly annualised Gross Merchandise Value (GMV) sales target by 10 times to USD 10 billion by 2017, a top company executive said. "The currency reform implemented by the government has liberated Indians from cash and has also promoted adoption of mobile wallets and digital payments across platforms. We have a target to reach USD 10 billion GMV sales by next year," Upasana Taku, co-founder, MobiKwik told PTI. The mobile payments network has over 1 lakh merchants and 35 million customers at present and has witnessed a 40 per cent increase in its mobile application downloads since the government's demonetisation initiative, she added.